Hey, it’s time to make some of my favourite recipes for leftover turkey. In fact in our household, it’s really all about the leftovers. 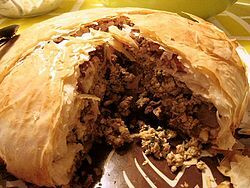 So let’s go dig up last year’s list of my favourite recipes for turkey. And if you have leftover cranberry relish or chutney, you can always do what I did last year as well and add it to this slow-cooker pulled-pork recipe. B’stilla (or bastilla, bisteeya, pastilla or bstilla) is a succulent Moroccan dish — traditionally, a meat pie made with young pigeons (squabs). I have a recipe here which I have prepared with Cornish game hens before, although it lists chicken as the main meat. However, turkey — and especially brown meat — makes a perfectly lovely substitute. If you’re using Thanksgiving leftovers, the turkey meat will already be cooked so you can cut cooking time down a bit for the meat filling since the recipe assumes raw poultry. This recipe includes instructions for mixing your own ras el hanout, which is to Moroccan dishes what curry is to Indian food — omnipresent and ever changing depending on the mix you use. I’m very fond of it and when I make a b’stilla, I always mix extra ras el hanout and save it in an air-tight container for later use in other recipes — soups, eggs, rice, etc. The recipe offers an option for making lots of little individual pastries wrapped as finger food, but I’m partial to one big pie — and it’s less work to make! And here’s another recipe to use up turkey leftovers! According to mom’s notes, I think it’s from Five Roses’ La Cuisinière, but if so it’s from an edition older than mine (25th edition revised, 1984). The dough is actually a shortcake dough, so it’s nice and flaky. Mix the dry ingredients together. Cut the butter into the dry ingredients with two knives or with a food processor, until the mix is slightly friable. Make a well in the dry ingredients and pour about ¾ to ⅞ of the warm liquid. Mix lightly with a fork until the liquid is absorbed. Use the rest of the liquid to adjust the texture if needed. Knead delicately (about ten times) on a lightly floured board. Roll out to ⅓ in. (8 mm) thickness. Preheat the oven to 450’F (230 C). Mix the turkey, olives, salt, pepper, paprika, parsley, and onion. Wet slightly with a small quantity of milk. Spread evenly over the rolled-out dough. Roll tightly (like a jelly roll cake). Cut in 1-in. (2.5 cm) thick slices. Place each slice flat in a greased muffin tin. Bake in the preheated oven for 15 à 20 minutes. Serve hot with gravy or a white sauce. In advance of next week’s Turkeypocalypse, I’m still lining up recipes to deal with delicious leftovers. How about a complete change of cuisine after all this traditional American cooking? 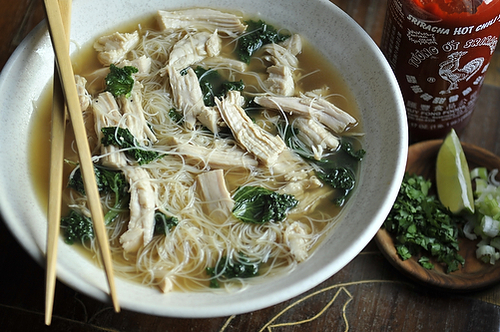 Pooks088 has a recipe for fragrant, lovely turkey pho that includes making your broth from scratch from the turkey carcass; WinnieAB has an alternate version you can use if you’ve already made the broth, with a little kale for added greens. And the nice thing is, it’s easy to make (get it started, let it simmer, strain and add noodles.) It will also make you feel virtuous after all this rich food! Make yourself a cup of cà phê sữa nóng as a treat! Edit: Ack! I had the wrong link, but it’s fixed now. Another recipe from Margot Oliver’s La Bonne cuisine, part of my big turkey recipe blitz leading up to the holidays. To be honest, I’m not exactly sure how to properly translate “divan” in this case, since we’re obviously not building meat furniture. Anyhow, the recipe looks nice, is tasty, and is not difficult to make, so enjoy the turkey divan! Plan on using those big slices of meat from the breast. The best way to make the broth is from the carcass of the original turkey. However, in a pinch you could use chicken broth. 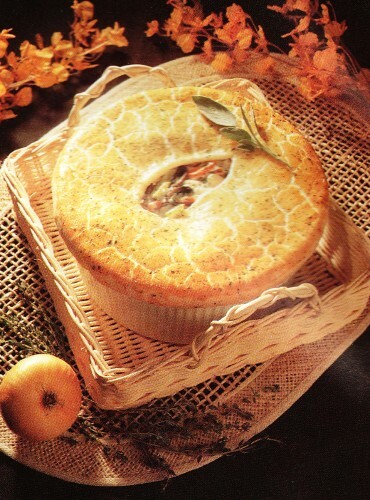 All in all, the dish requires a good amount of work and planning, but the pies can be prepared a day in advanced and baked at the last minute. Note: This post is part of my big turkey recipe blitz leading up to the holidays. 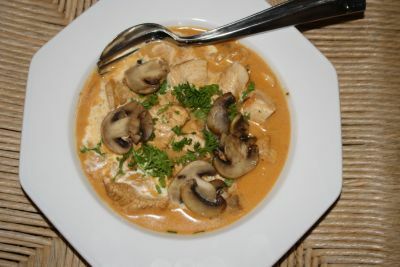 “Truthahngeschnetzeltes” is a German turkey ragout with mushrooms in cream sauce. I first became acquainted with it last summer when we were in Seattle and some friends (hello, Linda, Ed, and Dawn!) took us to Heidelberg Haus for dinner. I loved it, and once back home I decided I just had to make this dish. I looked up recipes and, thanks to the magic of Google Translate, figured it out enough to make sense and re-write it in comprehensible English. Here it is, in my big list of recipes on Google Drive. The original calls for uncooked turkey, but if you have cooked meat that stayed sufficiently moist (brining is great for that), then using it instead works well. As an added benefit, you can then cook it a shorter time. And if you want to serve with spãtzle then use this recipe here and ignore the breakfast egg part at the end. 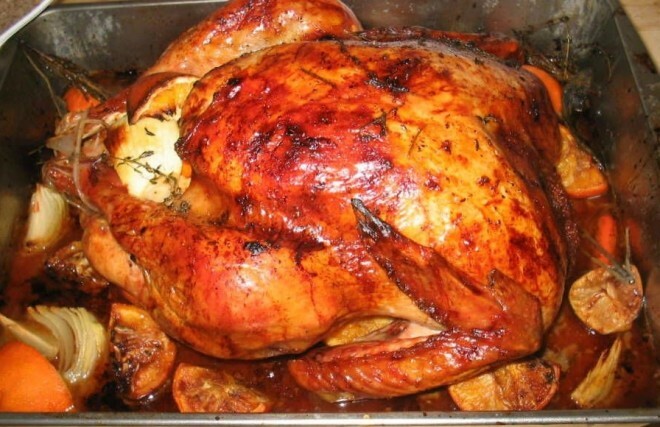 Here is another of my favourite recipes turkey for leftovers, Cantonese-style turkey. I can’t remember where I got the original recipe; I know it was over 20 years ago and it was in French; I’ve also made changes over the years. Still, I’d love to be able to give credit where it is due. This is a quick stir-fry that requires very little effort, and is healthy because of the lightly crispy vegetables. It also has the charm of bringing a different kind of flavours to your leftovers if you’re getting tired of American- or European-style sauces and gravies. 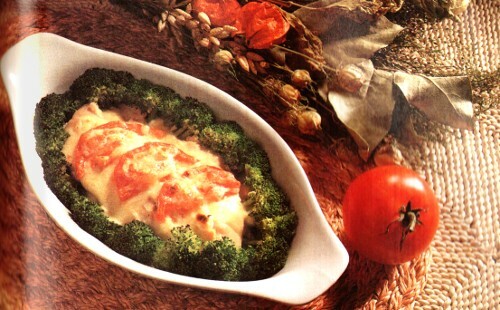 And finally, the colour contrast between carrots and broccoli makes it an attractive dish. 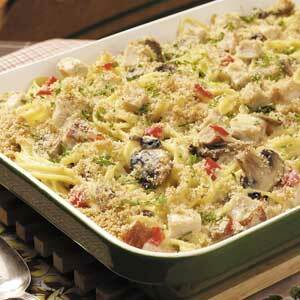 Interlude between gaming and convention posts: my favourite recipe for turkey tetrazzini. Part of my big turkey recipe blitz leading up to the holidays! Reportedly, this dish was created in San Francisco and named in honour of opera singer Louise Tetrazzini; the original was made with chicken. There are many delicious variations around now, and I have recipes for chicken, ham, and seafood tetrazzinis using different kinds of pasta. But in our household this turkey version is the favourite, and always the first dish my husband asks me to make with turkey leftovers. The recipe makes 8 portions, which can be frozen individually. Enjoy this rich, comforting dish! Turkey leftovers? Not for long! It finally dawned on me that (American) Thanksgiving is in three weeks, so we should probably plan our menu and social calendar. We rarely have turkey for Thanksgiving in this household! But it’s not that we don’t love it, oh no. Edmund usually makes something fancy and impressive — but not turkey — because this is his holiday to cook up a storm and try something new and inspiring. And for me, turkey is a traditional Christmas meal in the old French Canadian tradition. And believe it or not, we still ran out of turkey meat for recipes before we got sick of turkey last winter! So in preparation for Turkey Day, I thought I would line up some of my favourite recipes to use up turkey leftovers; and over the next three weeks, I’ll post the recipes. I’m sure I forgot some!